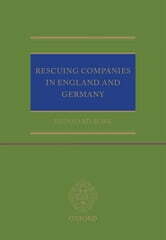 This book examines the circumstances under which a company needs restructuring, and for which companies that would be possible given the nature of the corporation and the economic viability. It discusses the criteria for judging whether a reorganization has been a success. Bork considers the legal mechanisms involved in restructuring including the extent to which the law provides the rules for a moratorium and the rights creditors may exercise over the debtor's assets. It also tackles the legal processes and how a reorganization can be commenced. The book includes analysis of the role of management and the partners or shareholders and the extent to which either legal system assigns the decision-making powers to the right persons. It considers how each regime deals with the assets involved and whether there are rules to reverse payments made during the crisis and the possibility of a set-off claim. Other aspects considered include special rules for terminating or modifying disadvantageous contracts including contracts of employment, and costs of restructuring procedures under given legal conditions. 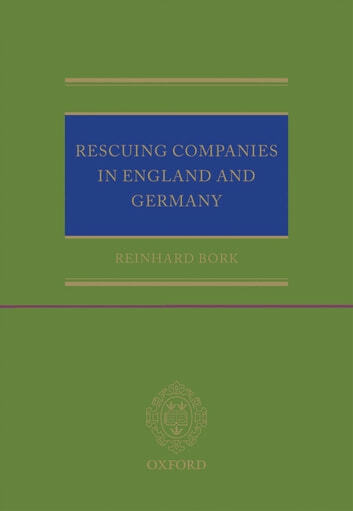 Providing a thorough consideration of the extent to which English and German company law (including the proposed changes to German law) enhances or limits the prospects of businesses seeking to reorganize, this work offers a valuable reference source for practitioners advising companies on where to base their restructuring and gives scholars further research material concerning the remaining issues in English and German restructuring law.